Content is King. It can be time consuming, involve using software platforms you may not be familiar with and a lot of deep thinking too. You know you should do it but it’s one of those annoying business tasks that gets left for weeks and eventually forgotten about until you log in to Google Analytics a few months later to realise you’re getting no organic traffic. We know you know it already but if you don’t dedicate a decent amount of time to business blog writing, you may be missing a golden ticket. Companies like ‘Buffer‘ started with a huge amount of time exclusively dedicated to writing content for SEO purposes, which amounted to roughly 3 posts a day, every…single…day. If you look at where they came from to where they are today, they’re a prime example of company that played to their creative and digital strengths and used it as leverage to dominate their market. Consider this a free SEO crash course to give you a good understanding of how to write a blog for business and then rank in search engines. This article is titled ‘SEO content writing for blogs’ and by the end of it, you’ll know and understand how to write great content and feel the benefits some months later when you start to rank in search engines and experience the resulting traffic. As with everything we do, it starts with the customer. You’ll need to know who they are and what they’re searching for online so your business can write content to answer it in the most helpful way. We’ve found companies are often overly precious about their services and worry about rivals stealing their ideas, which in some respects we understand but you don’t have to give the whole game away. Great content writing is all about producing something useful, insightful or emotional for website visitors to engage with or try out for themselves, so if you deliver IT storage services and products, how can IT teams make the most of their storage area network? What nerdy tricks can you unveil for them to try? It’s often misunderstood, even by a lot of SEO companies/specialists/ninjas, but keyword research for blogs is absolutely critical to getting them ranking in search engines. Without appropriate target search terms or understanding what people are searching for, who is going to read it, how are they going to find it and what use is the content? Unless you’re a very established business with a wide reach, PR and extensive budget for ads, nobody will see it, so what’s the point in writing it in the first place? Before we nose dive deep into writing, we make use of a keyword research tool to establish which terms to target. In our opinion, the best keyword research tool is the one you’re most familiar with as they all come with the same basic functionality. Our favourites are SEO PowerSuite and SE Ranking as we’ve used them extensively and achieved great results. There is a free keyword research facility built into Adwords, which is a keyword planner for ad campaigns. The downside of it is the competition metric is based on competition for ad keywords rather than organic search, which isn’t hugely helpful for SEO though it can help you understand what is being searched for. We have our own keyword research tool built into Sweet Links search engine rank tracking which will also track your presence in SERPs. In order to find the best keywords for blog traffic, you’ll need to understand what keywords you’re ranking for already and assess the competition for those. That, combined with your domain authority should give some clues as to what keywords you can target. 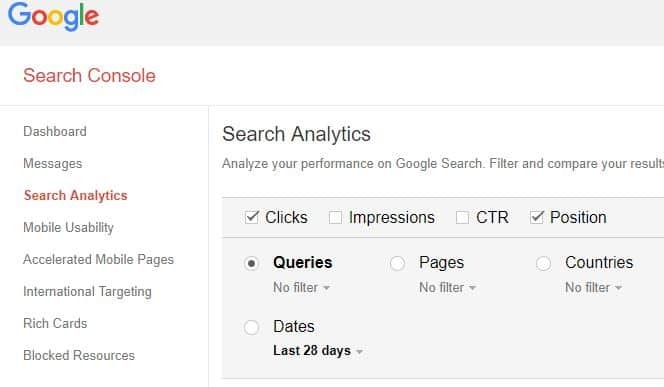 Take a look in Search Console to find the keywords you’re appearing in searches for, use the queries tab and tick the ‘position’ box to see where you rank too. ‘Clicks’ is which search terms have resulted in clicks through to your website, ‘Impressions’ is how many times you’ve appeared in search results for that keywords and ‘CTR’ is how many times you’ve received clicks based on the ‘impressions’ and presented as a percentage of those. Alongside your search console results you’ll need to know how to find domain authority for your website, take a look at Moz. Type in your domain and it will give you a result from 1-100. 1 is the lowest and is often exclusively reserved for new domains with no links whereas 100 is the best possible level of domain authority. So now we’ve seen what you’re ranking for, measured your domain authority and understand your website, you can now work out the best keywords for blog traffic for your specific website. For the sake of this article we’re assuming your site is the worst case scenario; with domain authority of 1 out of 100, not ranking for anything useful and incapable of appearing in the first page of SERPS. You can now find the best keywords to use using a keyword research tool and with the limited domain authority in mind. The best approach for a website with weak domain authority is to choose long tail keywords with barely any competition, see below! 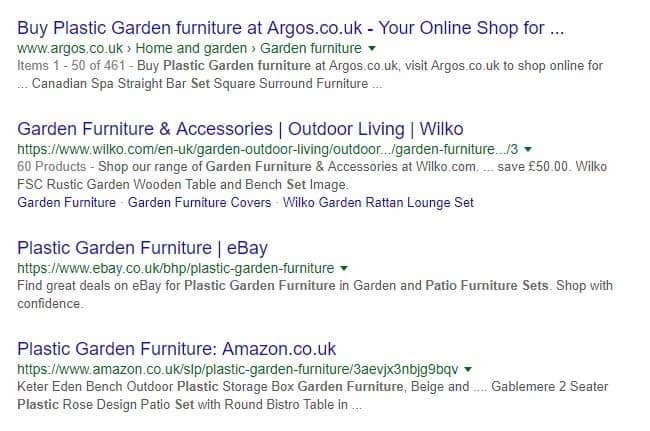 We’ve decided to search Google for ‘garden furniture set plastic’ to assess the competition. In our research tool, it says that there is no competition and looking at these results, there aren’t any exact matches to the keyword though they are all relevant to the search term. This tells us that it could be a good keyword to use. As a rule we’d aim to find 3-5 more long tail keywords and some medium tail keywords using the same approach. Ask any SEO how to use keywords and they’ll often give a different answer or not offer anything helpful at all because they want you to pay them £5k per month to do it. That aside, this is how we would recommend it at Sweet Leads. One of the big debates is around good keyword density but as far as we’re concerned, it’s a mostly useless metric that encourages you to repeat the same phrases a set amount of times per 100 words. Think about that for a moment. Imagine a conversation taking place where someone repeats the exact same phrase 1 time per 100 words – what an odd conversation. Now imagine if you add 3 more other phrases into that conversation that also have to be repeated 0.5 times per 100 words. Exactly, it’s just bizarre. So what is good keyword density? In our opinion, you should write posts with keywords in mind but without letting the sentences become unnatural and if the keywords start to get in the way of producing a useful piece of content, then you should probably trim back your use of keywords. We’re going to assume that like 76% of all websites, yours is based in WordPress, if not then we’ll have some HTML examples included too. Keywords can be placed all over your web page but there are some better places than others; H1, h2 and h3 tags, title tag attributes, alt text on images, any paragraph on the page particularly the first one. It’s a myth that your page Meta Description needs keywords, the best use of that is to trigger curiosity when you appear in search results so the person is more likely to click, so don’t worry too much about placing target search terms in there for the sake of it. 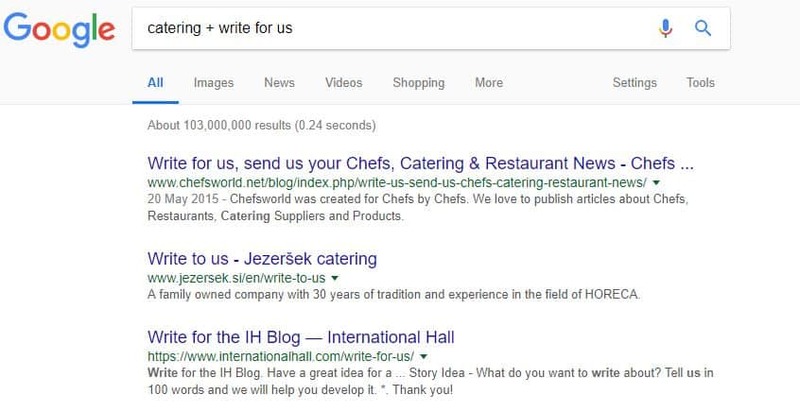 Recently, we came across a blog post from an SEO expert that claimed the H1 Tag is 20% of what search engines understand your page is about. Taking a wild but educated guess, we’d say that’s neither true nor possible to accurately measure, that said, it’s a good idea to use a keyword in there as it undoubtedly gives both search engines and most importantly, PEOPLE a good idea of what your page is about and how it’s structured. Tags H1 to H6 probably aren’t all equal and as a general rule we only usually use H1-H3 in posts and would recommend you do the same unless the page requires it. Take a look at the image below, this is where you’d change the tag in WordPress. If you’re not using WordPress as your CMS you can use HTML to set text as whatever tag you like using the HTML below, generally speaking it’s a good idea to avoid inline CSS with Tags H1 to H6 so they are always within branding guidelines. The image below, will give you a good idea of sensible use of heading tags in html. This is just one effective approach as to where and how to use keywords without caring too much about ‘good keyword density,’ but as with anything, there’s always more than one way you could do it. The reason we adopt this method is it’s the best one, it’s built entirely around relevance as that’s the most important strategy in on-page SEO. Imagine you are looking at an image of the Amazon Rainforest. It contains a variety of important features, particular plants, green colours, certain animals, vines, creatures and insects that help you form the conclusion that it is the Amazon you’re looking at. If you place a barbershop, two Cadillacs and a team of Italian footballers playing Twister, into that same image, it contains too much irrelevant information to conclude that it’s the Amazon Rainforest. The same applies to search engines. Relevance is probably the most important factor in search engine optimisation; tags H1 to H6 can’t claim the paragraphs are about ‘The best Jam Flavours’ when they talk about baseball results. Furthermore, your images, links and references should all be relevant to the theme of the blog post too. So we understand a bit more about great content writing for blogs but we don’t know how long the post should be. The legend that is Neil Patel, recommends that articles be around 2,500-5,000 words long. The reason this is the ideal blog length for SEO is because there’s a hugely statistical advantage to it. The chances of people linking to your content increase dramatically as does the chance of someone giving you a bit of free social media blog promotion by sharing it. This could increase a metric known as ‘Page Authority’ and ‘Domain Authority’ too, which gives you a better chance of ranking in search engines. Yoast’s recommended blog length is a minimum of 300 words but we take a different view; aim for around 450 words for product pages but 2,500-5,000 for blogs. We often use our posts as a utility to draw in more website visitors who are interested in finding out more about a subject and then linking to individual product pages that are relevant to the post. This results in a boost to authority using what we’d call your SEO internal linking strategy that we’ll go into a little bit later. A key reason we prefer long form blog posts is they actually enable and encourage you to write great content through going into a deep amount of detail and creating something awesome that potential customers would actually want to read. Alongside the content of the actual blog post, categories and tags are a useful way to narrow down and simplify the navigation on your website. If you’re writing a business blog to help companies with their marketing recruitment needs then ‘marketing recruitment’ could be a good category, especially if it complements the services you offer. Tags that could work for that post, within that category could be ’employee retention,’ ‘finding marketing talent,’ ‘hiring marketing graduates.’ The purpose is to simplify navigation but it also gives Google an idea about what to expect of your pages, provided they are relevant to the content of the blog then they could help you rank a little easier in search engines. There are two main purposes to category SEO; to boost the page itself and to categorise relevant posts and pages. In our opinion, category pages are more important than product pages but equally as important as writing blogs posts. A post or product can change or may not be needed any more but chances are a category is going to be a long term page on your website, meaning category SEO is more important than a lot of people realise. When thinking about SEO for blogs, tags play a small part and we’d suggest that you only use them to add detail to the categories as described above. Blog tags and SEO probably shouldn’t be a priority as there are other important pages. 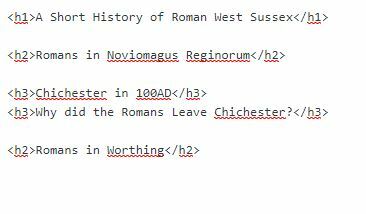 We’d recommend using these as the ‘index’ for your post, so key headings within the article may make good tag choices. 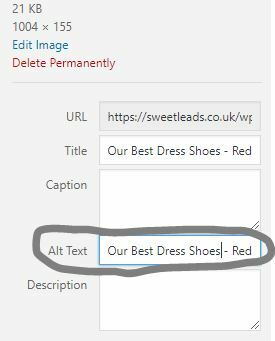 In the image above, we’ve highlighted the words that we want to use as anchor text in WordPress for a link, you can easily do the same. Click the button below the arrow in the above image and a box should appear below your highlighted text as in the image below. Type the page you want to link to in the box and you’ll have successfully added anchor text to that link. Firstly, what is a website backlink? This is a link from another website to yours. They come in two flavours, ‘no follow’ backlinks and ‘do follow’ backlinks. The do follow backlink is one that tells search engines to follow the link and pass on ‘link juice’ whereas no follow backlinks tell search engines not to follow the link and not to pass on authority. More often than not, your backlinks will be no follow, but that’s not such a big deal as if it’s from a website with a mass of traffic, it could benefit you by driving more traffic to your blog. Backlinks are the golden egg of search engine optimisation, if there was a simple and easy way to build them, they probably wouldn’t be worth having. You’ll see them advertised for sale, receive spam emails about them and your local search engine optimisation expert may even mention he could throw a few hundred in to seal the deal. There’s an immensely strong correlation between high quality backlinks and how well you rank in search. So is it worth buying backlinks? No, it isn’t. Is your SEO expert a tool for selling you a con? Yes, she/he is. It’s one thing to purchase a space in a niche directory and make use of the membership perks, which happen to include a backlink but it’s another to purchase backlinking software or a service that promises millions of them for £50. It’s very likely you’ll be hit with harsh penalties from search engines and no longer be able to rank. Take this as gospel, do not purchase backlinks or software that generates them. The reason we mentioned 2,500-5,000 words being the ideal blog length for SEO, is articles of that length or longer are much more likely to get shared or linked to by other websites – this is how you create backlinks the correct way, by taking the time and pride to write great content. Outbound links are the opposite of backlinks, they’re links from your website to another. The best strategy to effectively use outbound links and SEO is to link to relevant content. If you’re writing a something useful about growing root vegetables you could link to a product about root vegetable feed, so long as it make sense in the context. How do I increase my blog traffic? How do i drive traffic to my blog? or my blog is not getting traffic, what can I do? We hear this all the time and we know it’s a really hard challenge to overcome. We’re going to go to great lengths about increasing traffic to your blog in another article, but here are some of the essentials just to get you started. Now you can write great content for SEO, but it could take months to rank in search engines so Social Media is a key part of getting traffic ahead of Google’s crawlers picking up your pages. Share your post on social media, post it on your personal Facebook, Twitter and Instagram profiles and put it on your business profiles too. If you have some budget for adverts then you could advertise it for brand awareness purposes or you could post it into niche groups that would genuinely be interested in what your article is about. To make it easier for visitors to share your content, include blog social media buttons as part of the page. If you use WordPress, there’s a free plug-in called ‘Jetpack’ which includes social media sharing buttons, for no extra cost. From there, you’ll find that they have briefs on what they want from guest posts, there may be a way to get backlinks and regular traffic through their website too. Businesses offering opportunities in guest posting are particularly fussy about the quality of the content – as they should be too. A magazine website that we are putting together called ‘Marketing Strategies Online‘ is particularly strict about content as we take a lot of pride in our blog posts and only aim to deliver the best. We currently have 10 different contributors writing for it’s official launch, which is happening in the next few months. The guest posts that we will publish, have to meet a detailed spec and quality score, much like the approach in this article – so expect the same from other businesses too. So now you’ve arrived at the end of this article, you now know about writing great content for SEO, how to use keywords, increasing website traffic and how to find the best keywords to use. Please remember that it can take months for your website to rank in searches, sometimes up to a year, but the more you consistently post high quality content, the more likely you are to gain backlinks, boost domain authority and increase your online presence.